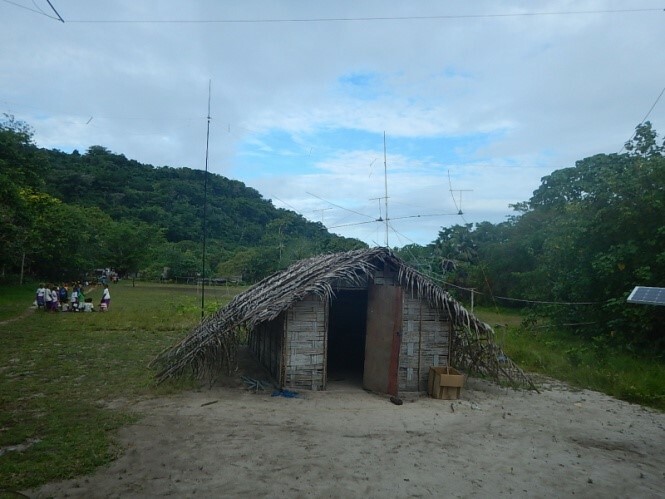 My first visit to Torres was in 2012 when I went for Red Cross to install HF Radios to improve communication within and out of the Torres group. They previously had only very limited land line service, connected by UHF/Microwave links to the Banks group repeaters, 100 km to the SE. 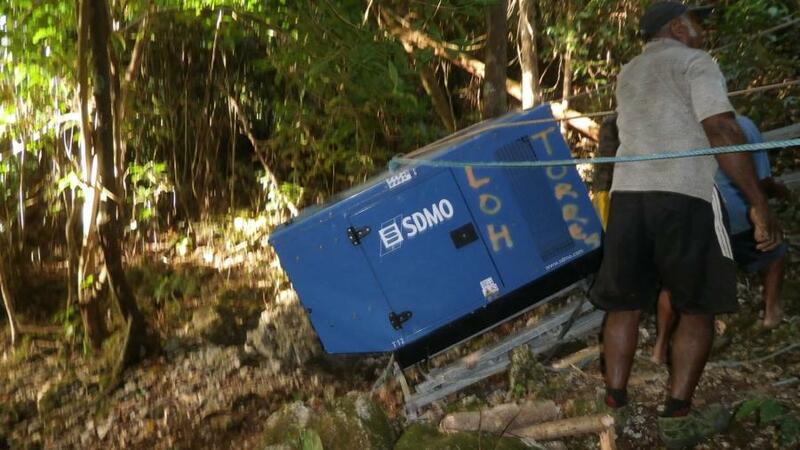 With the coming of a second mobile carrier (Digicel) to Vanuatu, the original carrier, TVL, abandoned maintenance of the remote land line links to concentrate on Mobile competition, except there was no mobile connection to Torres. More on that later. So having HF communication was essential for the Torres group. 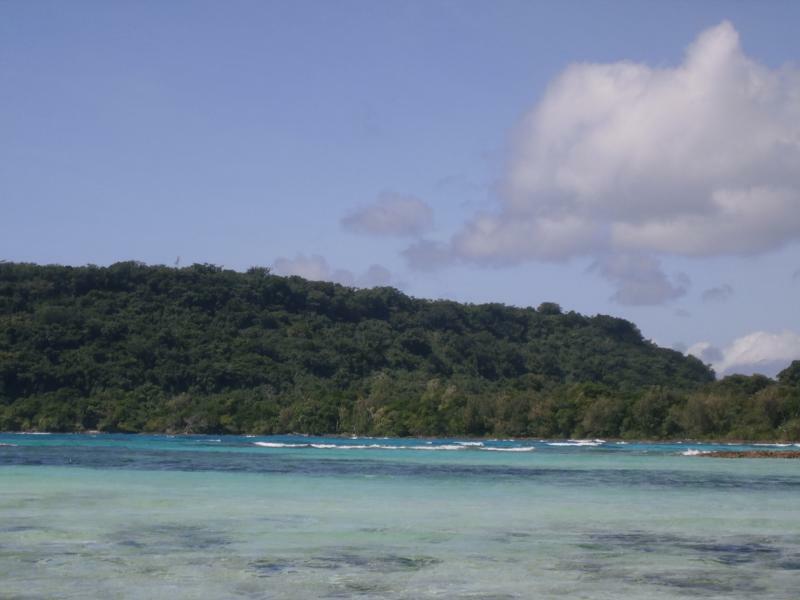 I installed HF radios on Loh and Hiu Islands. 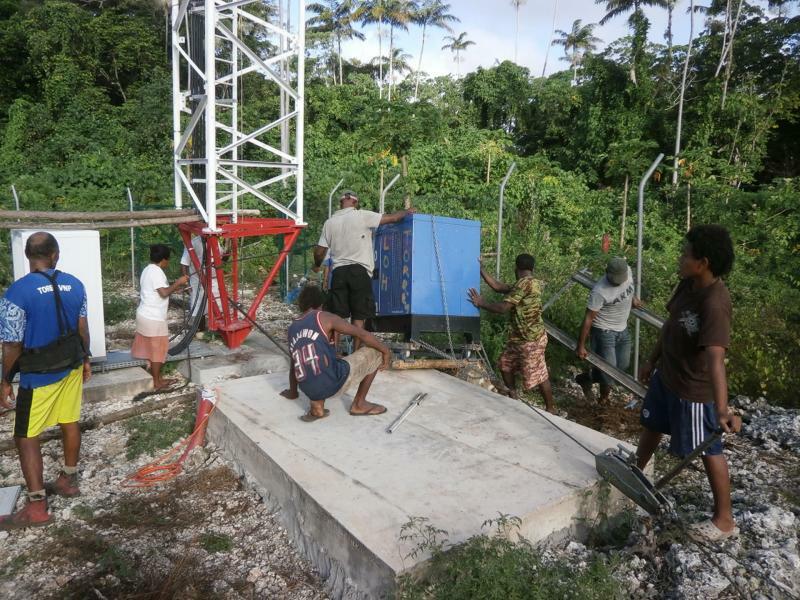 In 2013 I returned to install additional radios in other villages on Hiu and Loh, and also 2 more on Toga. In all of the Torres group there are no roads, only walking tracks. There are no vehicles only about 6 small 8m banana boats with 30 HP out board motors. There are no electricity or water supplies. 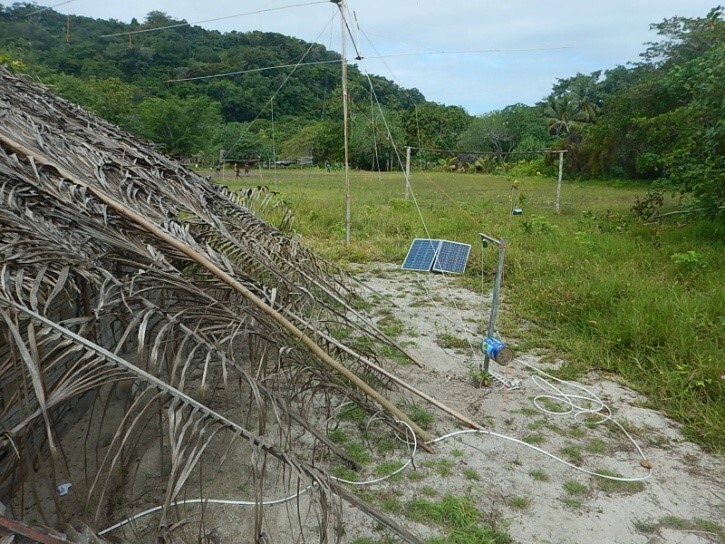 The only electricity is from small solar systems and water comes from rain catchments and when this is getting low, brackish water from shallow wells. So to operate DX I set up in the Red Cross room which has a 90W solar panel and 2 100 Ah 12 V batteries from which to run the rig, bare foot only. 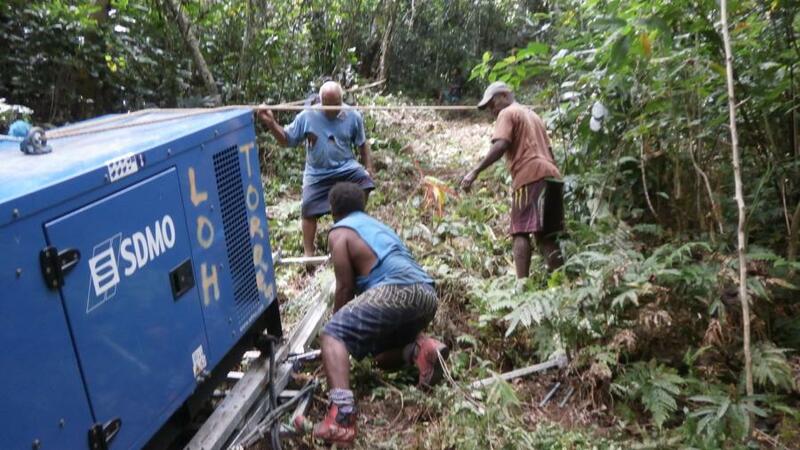 At the end of 2014 I was sent to Loh to set up the solar panels and batteries for a mobile phone repeater being installed for TVL. 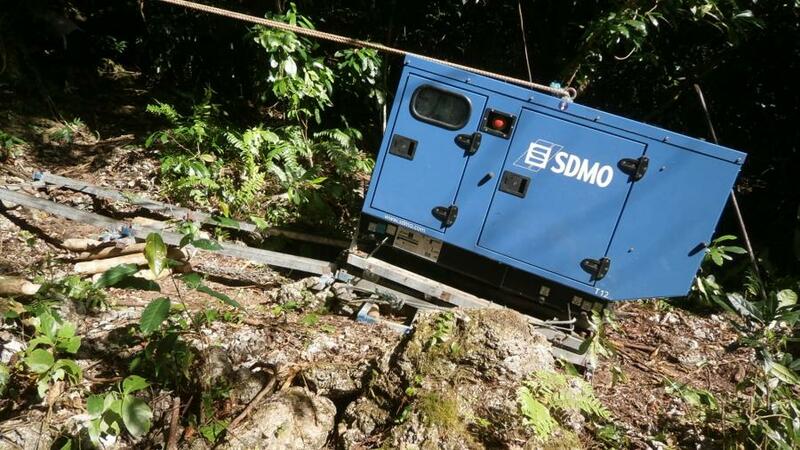 This repeater was subsidized by the government and all 300 tons of it was carried up 140 m of height and 700 meters from Rinhua village, on the backs of the Torres people. About 110 m of the altitude was in 300 m over the ground, a very steep hill. I had 2 trips to Loh in 2015, to try to move a 10 kW genset up to the repeater for back up battery charging in the event of low sun. The set at 630 kg was too heavy to lift with a helicopter so I elected to add wheels to the bottom of the genset and roll it over the ground. For the hill there was a “Come-a-long”. Effectively a chain block for wire rope. This had a capacity of 1500 kg so the genset could be lifted vertically if necessary. In April I found that the plywood I was using as a “road” was not strong enough and the wheels were punching through it. I did have a dipole up and made contacts from IOTA OC110 to USA JA VK ZL but was not able to get through to Europe. So I returned in August with some steel “railway” tracks to move the genset on and included a mast and a light home brew beam for 20m. The mast was actually elements from an old beam and the elements were 12mm and 10mm aluminium tubing. Being so thin they were braced to keep them straight. 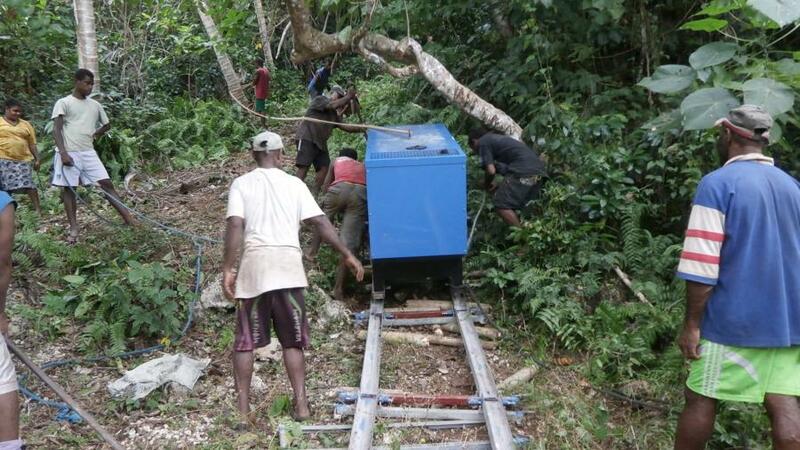 The Rinhua villagers agreed to help get the genset moved up the hill. I hoped for the job to be done in 2 weeks but it took 3 weeks. However in the evenings I was able to operate DX and made about 800 contacts. 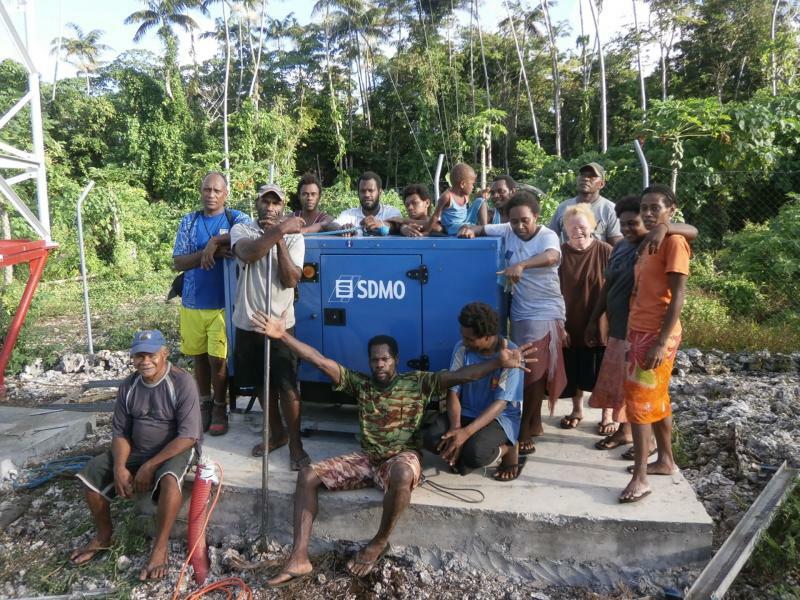 The deal with the Rinhua village was that I would supply solar lighting to the village in return for their help with the genset move. I went to Rinhua in late July 2016 with a promise that the ship with the solar materials would follow in a couple of days. 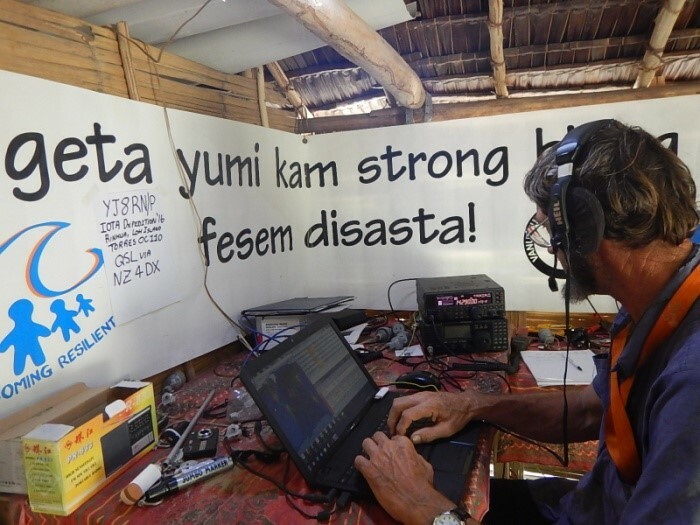 I went ahead of the ship to be able to be prepared to take part in the IOTA contest the last weekend of July. I rebuilt the beam (which I had left behind for my return) and started using it on the Thursday evening. I soon had a pile up into Europe. Great. But by the weekend, the Sun spots went to 0 and so I have very few contacts as a result. I also had up a dipole for 40 m, but could get very few contacts with that. 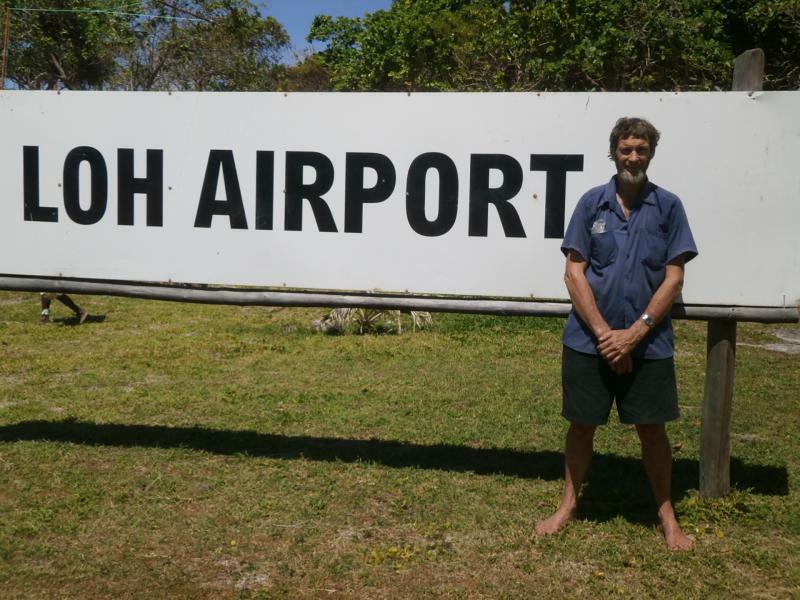 Airport, Loh Island, Torres Islands. Rod, YJ8RN.